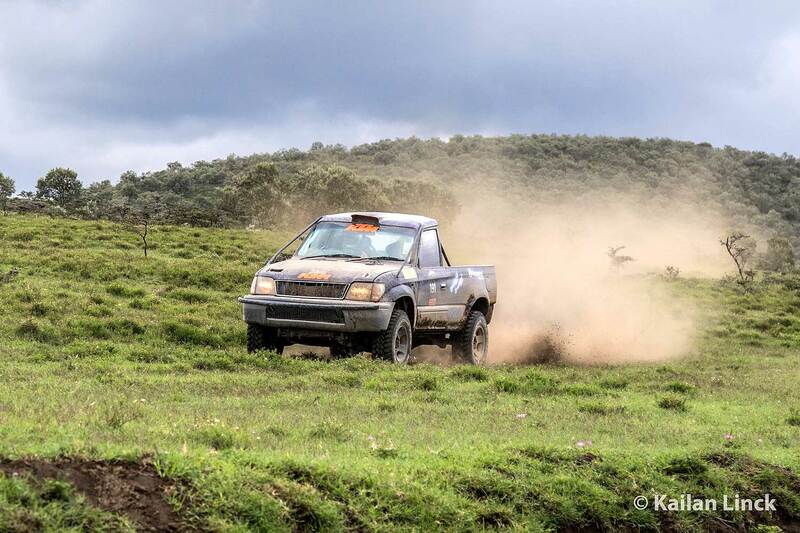 Kenyan rally legend Ian Duncan, codriven by Dez Page-Morris, were triumphant in last weekends Naivasha based round 2 of the "Fly-SAX / Fly-540 Kenyan Rally Raid Championship", leading from start to finish in their Toyota Prado Pickup. The pair finished the two day event just over a minute ahead of reigning champions Ross Field and Quentin Savage in a Century Racing Buggy. Mike Rose, in another Century Racing buggy, was third overall. The second round of the 2018 Fly SAX / Fly-540 Kenyan National Rally Raid Championship took place in Naivasha, and was hosted by the Ranch House Bistro. Day 1 was a mixed of old and new routes on the Crater Lake and ARR wildlife conservancies. Heavy rain before the event turn part of the route into a river, with a number of crews getting caught out. Using his local knowledge Chui Lodge manager Geoff Mayes, codriven by Suzanne Zwager, went fastest on the opened stage, but a missed waypoint gave them a penalty which dropped the pair to second overall, behind Duncan and Page-Morris. Day 2 was a much longer affair, and with nearly 40% of the route being off piste, navigation would be a deciding factor. 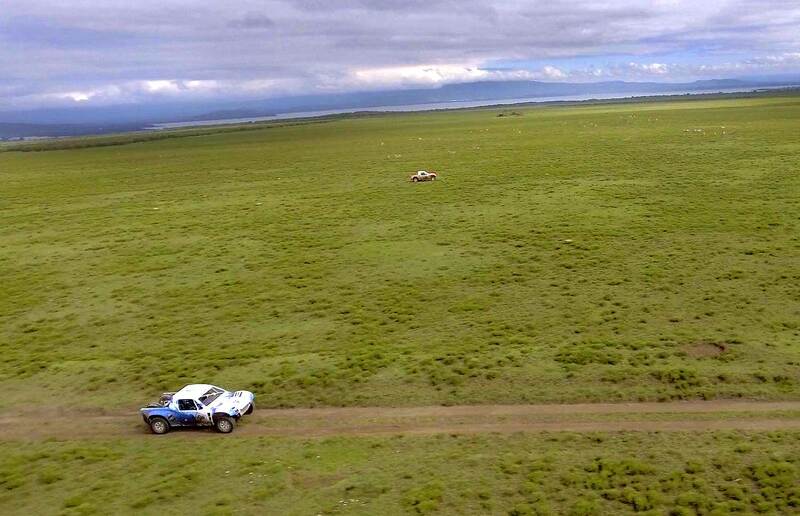 And indeed, after over 200 kilometers of racing, Duncan in his diesel Prado managed to hold off Ross Fields V8 powered Century Racing buggy by just 90 seconds. Ross Field and Quentin Savage now lead the championship standings, courtesy of finishing second in both events so far this season, and look set to defend their title in style. The third round of the 2018 Fly SAX/ Fly-540 Kenyan National Rally Raid Championship will take place in the Baringo area over the weekend of 21/22 July 2018.